The Securities and Exchange Commission (SEC) says investment bank Morgan Stanley Smith Barney has agreed to pay a $13 million penalty to settle charges that it overbilled investment advisory clients. Morgan Stanley said the overbilling occurred because of coding and other billing system errors. But the SEC says the bank also ran afoul of the custody rule dealing with annual surprise examinations. 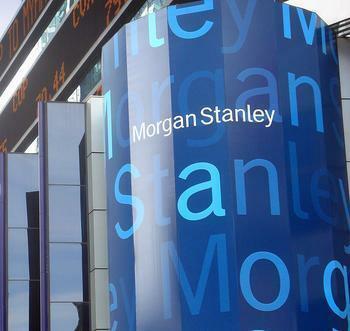 According to the regulatory agency, 149,000 Morgan Stanley advisory clients were overcharged because the company failed to follow accepted compliance policies. It said Morgan Stanley also failed to back up billing rates contained in the firm’s billing system against client contracts, fee billing histories, and other documentation. As a result, the SEC found Morgan Stanley collected $16 million more in fees than it was entitled to, during a period between 2002 and 2016. Morgan Stanley, meanwhile, says it has reimbursed this full amount plus interest to affected clients. “Investors must be able to trust that their investment advisers have put appropriate safeguards in place to ensure accurate billing,” said Andrew Calamari, Director of the SEC’s New York Regional Office. Calamari said the deficiencies that remained in place for years led to a total of 36 different types of billing errors that, in turn, led to the overcharging. The Morgan Stanley settlement, along with Citigroup's similar settlement with the New York Attorney General's office, prompted Bill Harris, CEO of Personal Capital, to weigh in. Harris says his firm is a fiduciary of its clients money, meaning it must put the client's interests ahead of its own. That might seem an obvious concept, but Harris says that isn't how the investment world is set up. "They're brokers who sell whatever makes them the most money, rather than true advisors who look out for their clients' money first," Harris said. In April, new Department of Labor rules are scheduled for implementation that will require brokers to act as a fiduciary when marketing retirement accounts. Harris says these rules have faced “fierce opposition” from brokers and the financial services lobby. Late last week, New York Attorney General Eric Schneiderman announced the resolution of a probe of Citigroup Global Markets (CGMI) that found the investment firm had overcharged 47,000 clients more than $22 million in fees. As part of the agreement CGMI has begun refunding the fees to affected clients.